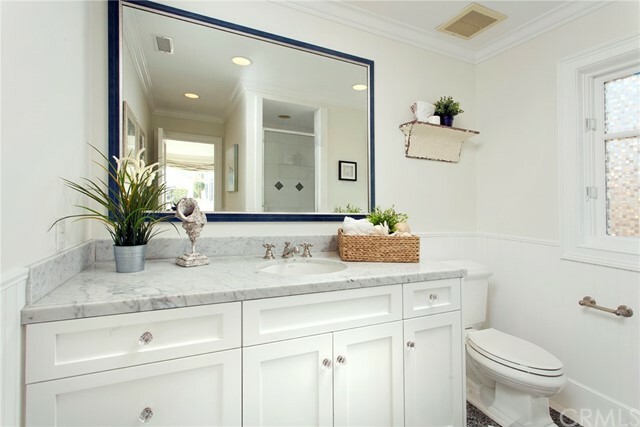 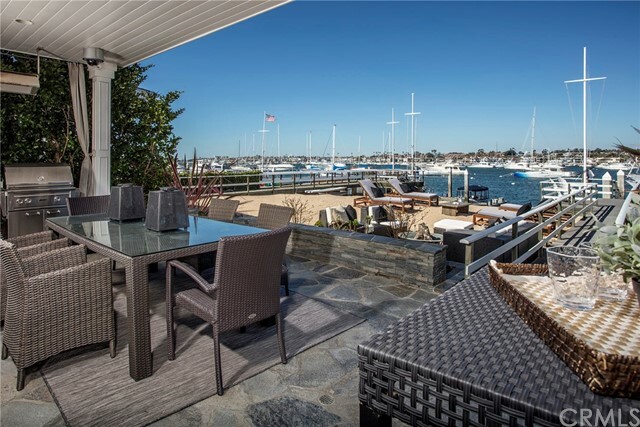 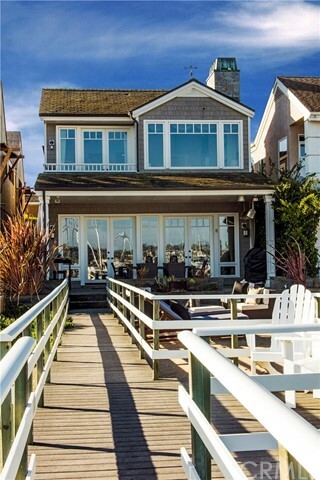 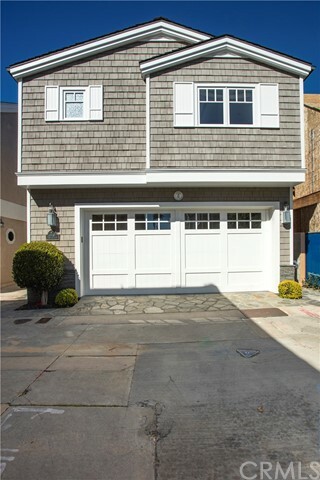 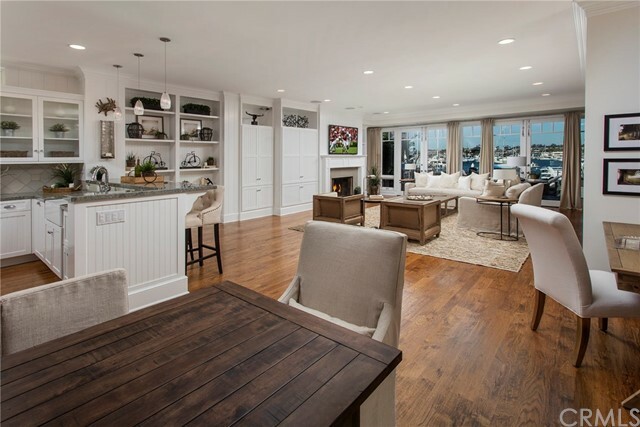 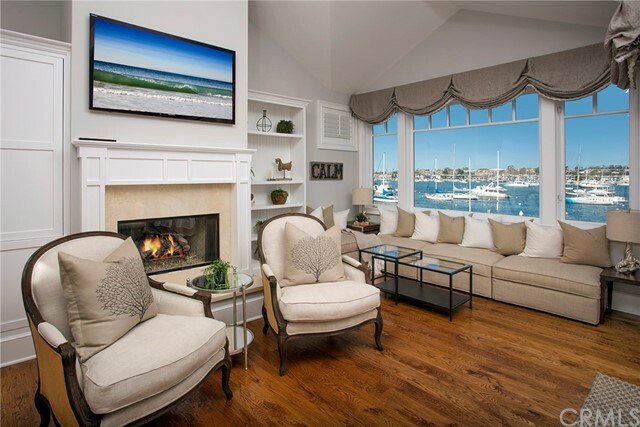 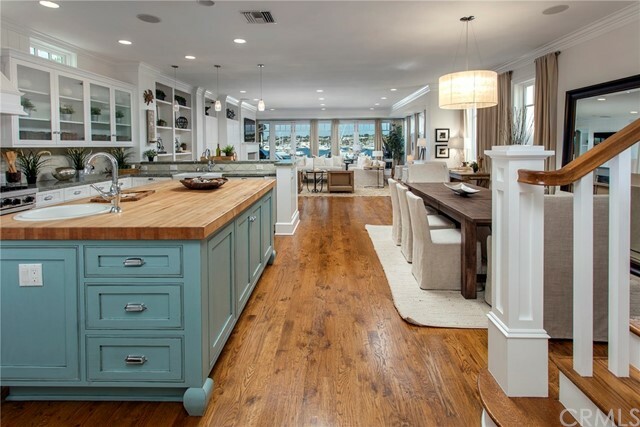 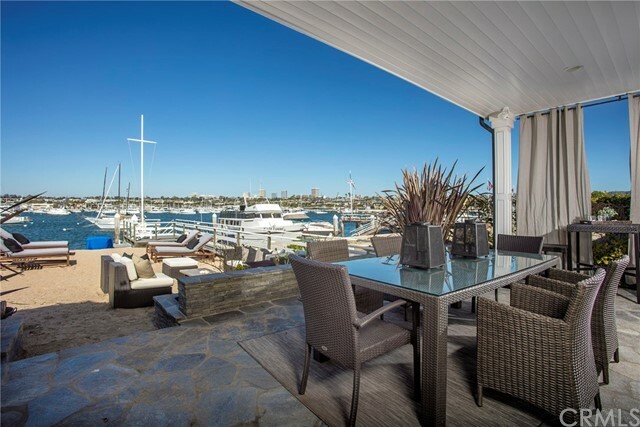 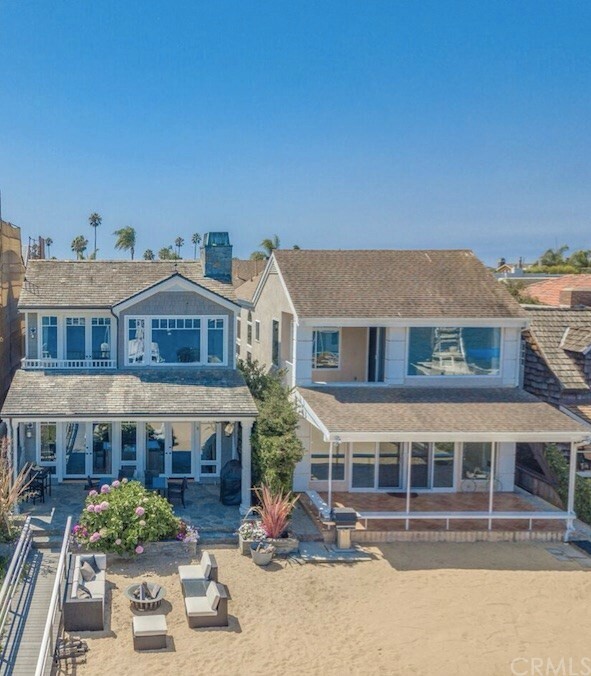 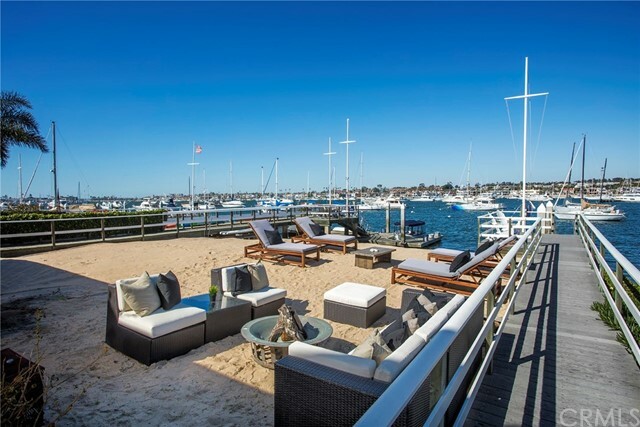 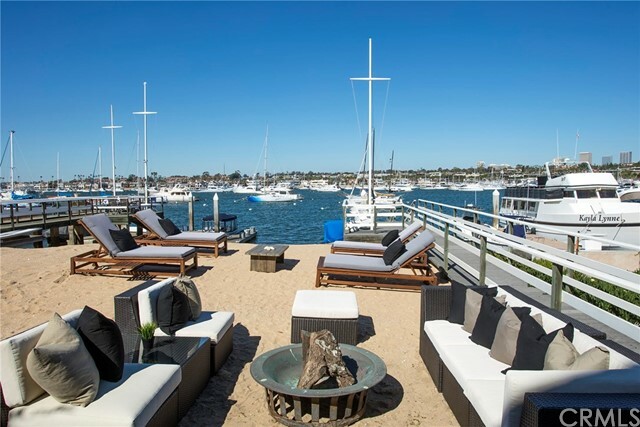 This home could easily grace the pages of House Beautiful or Coastal Living, with its sophisticated beach chic decor and postcard-worthy views of Newport Harbor. 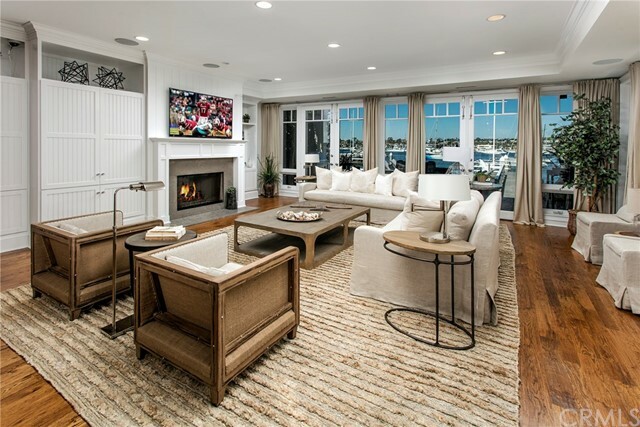 With an ideal Bayfront location at Peninsula Point in Newport Beach, the exceptionally private 4 bedroom, 4.5 bath Cape Cod-inspired residence is picture-perfect. 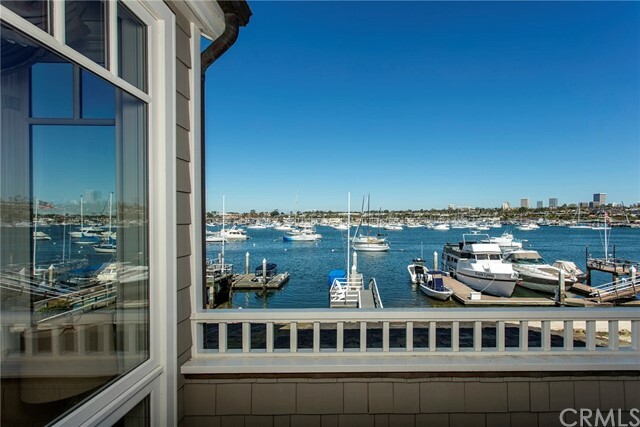 Spacious and bright, high-ceilinged rooms capture spectacular views of the waterfront, city lights, and the world-famous holiday boat parade. 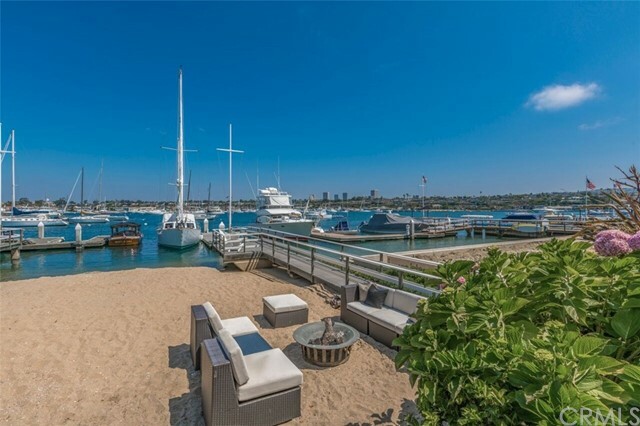 In addition to the large private dock, beach and heated Bayfront terrace, the main level of the residence offers fabulous venues for entertaining including a grand-scale living room and dining room suite with fireplace and media, as well as a stunning chefs kitchen with dining peninsula, massive center island, and every possible amenity. 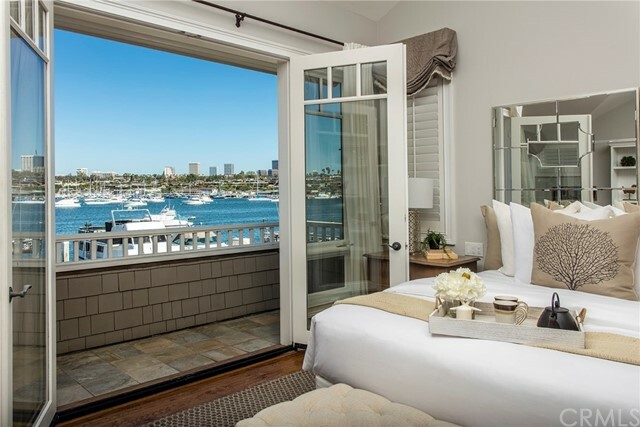 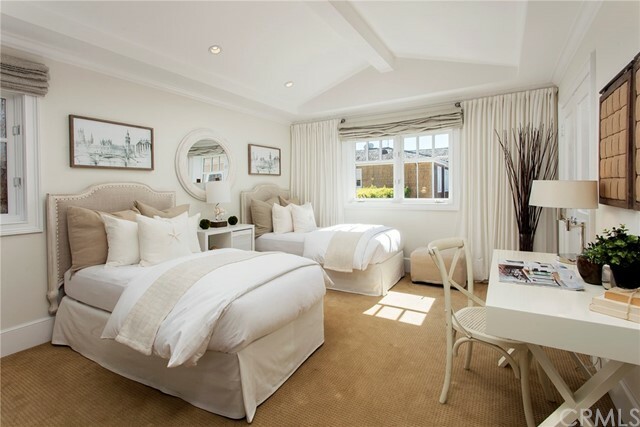 The upper level encompasses 3 gracious guest suites all with ensuite baths and the ultimate master suite with magnificent water views, a sitting area, fireplace, terrace, and spa bath suite. 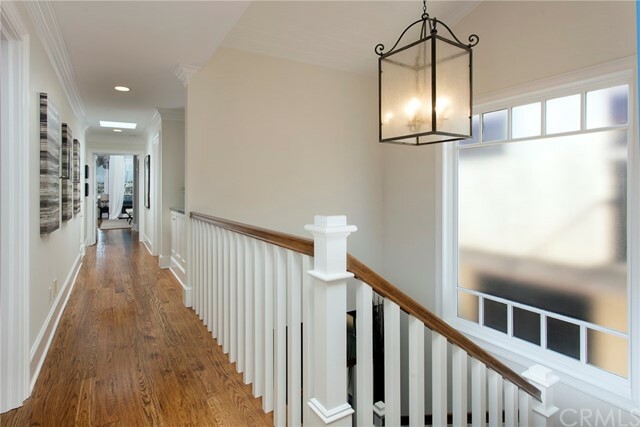 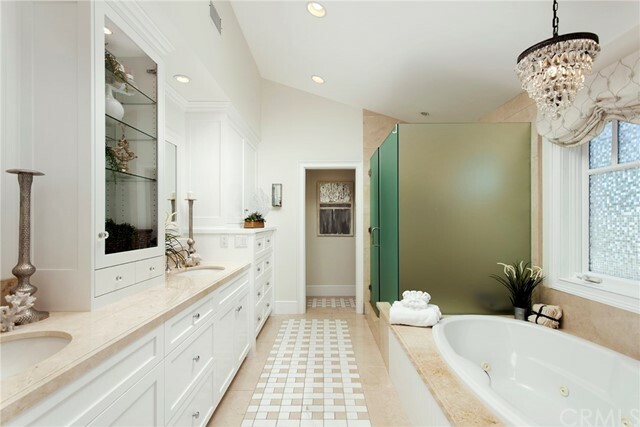 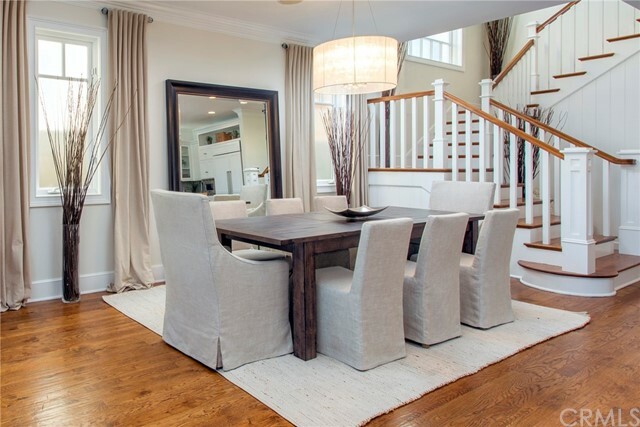 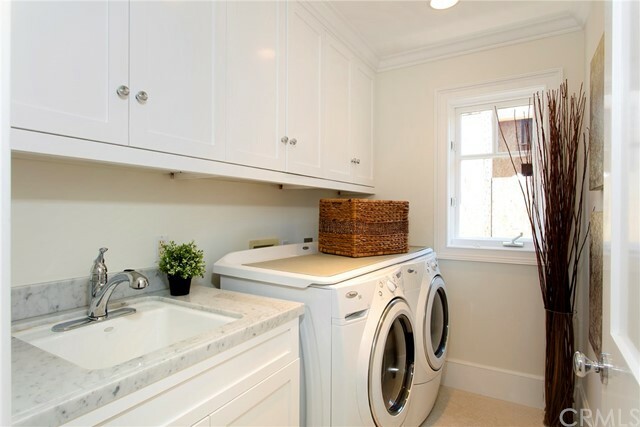 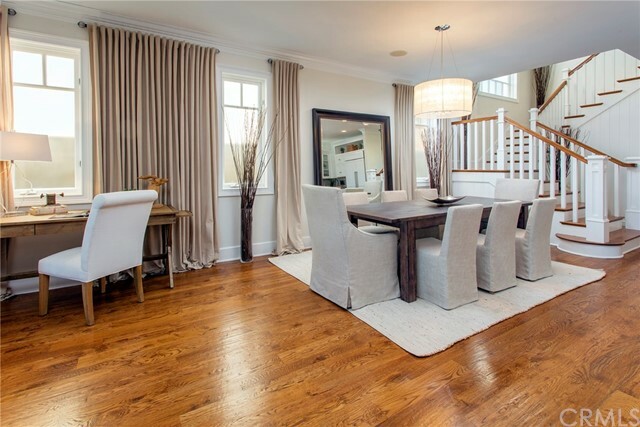 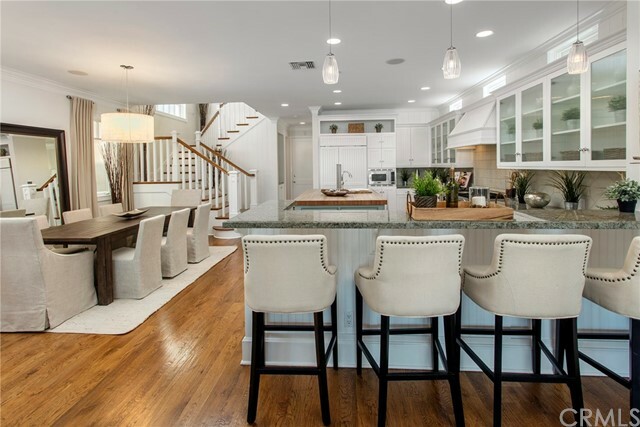 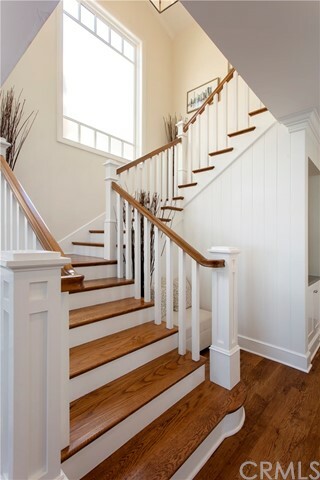 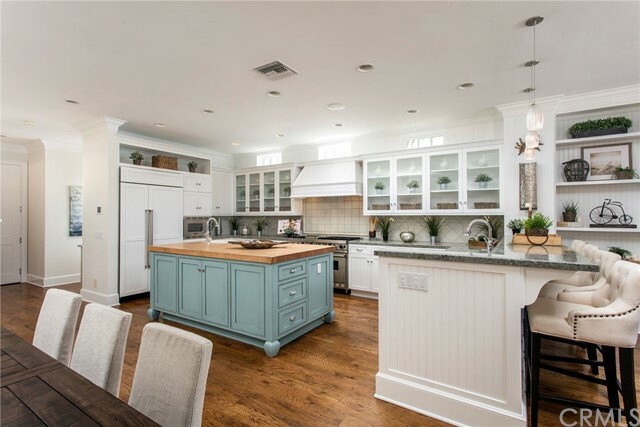 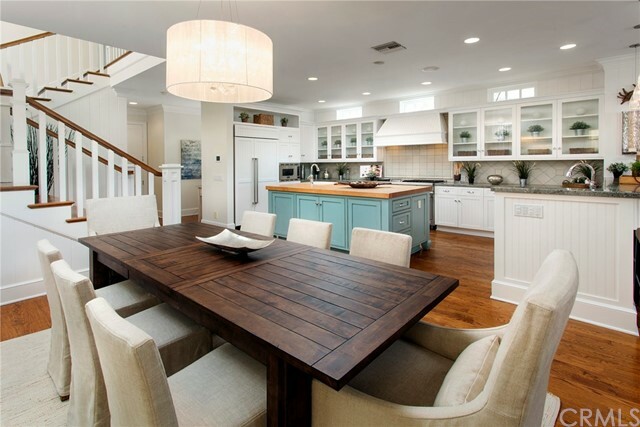 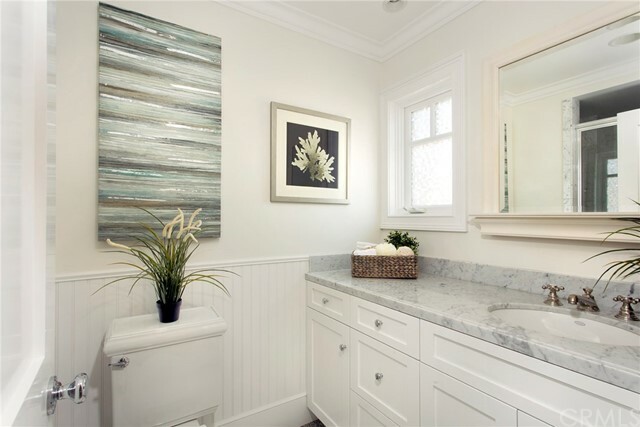 Throughout the home, you will find the finest hand-selected finishes including hardwood plank flooring, artisan stone, slab marble, custom cabinetry, beadboard and wainscoting.